Late last month I packed up the Honda CRV with diamond quilts and set off from Louisville to drive the 750 miles to New York City. I was headed to the 2017 Women's Jewelry Association's annual Awards For Excellence Gala where the diamond quilts would be the feature exhibit of the evening. What an adventure! The best part of the trip was meeting Desiree Habicht in person. Desiree has been my coach and mentor for the past 10 months. We talk weekly about goals and accomplishments, but we've never met face-to-face. She lives in California and I live in Kentucky. The minute we met in the lobby of the hotel it felt like meeting a long-lost buddy. The gala was scheduled for Monday evening, July 24th, but Desiree and I decided to arrive the Friday before so we could explore the city. Over the weekend, we ran from the Museum of Modern Art, to the 9/11 Memorial, up to the top of the One World Trade Center building, to Times Square, through Central Park, and around the Metropolitan Museum of Art -- stopping to catch a fabulous meal and glass of wine at some of the coolest restaurants I've ever been to. Monday came quickly, and Desiree and I spent the day preparing mentally and setting up the exhibit. I was kind of worried about driving in New York City, but thankfully our hotel was just across the Hudson River from the venue -- Chelsea Pier. The drive in was no big deal. 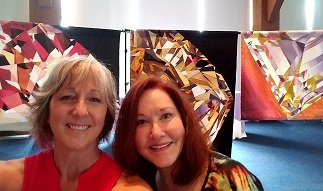 After meeting up with the WJA leadership team, Desiree and I set up the diamond quilts and then got our party dresses on. And guess who came to meet us right before the event? Teri Lucas, Community Editor of Generation Q Magazine! We made plans to catch up a little later this year and work on a podcast together. Very exciting! The evening went by way too fast....a blur. 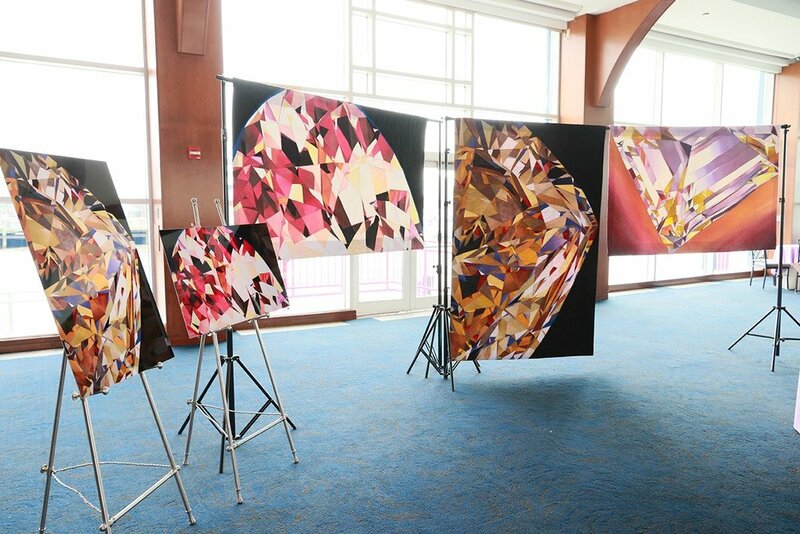 The diamonds looked great and the response from guests was overwhelming. Many told me they thought they were looking at photographs or paintings when they first walked in the event hall and were blown away when they got up close and saw they were actually quilts. Love that! Over 500 people attended the event and many of them talked with us about the diamonds. Made some great contacts and have some exciting things planned in the future. I'll keep you posted! Congratulations to the evening's honorees! Cecilia Gardner, Michael Pollak, and Day's Jewelers. 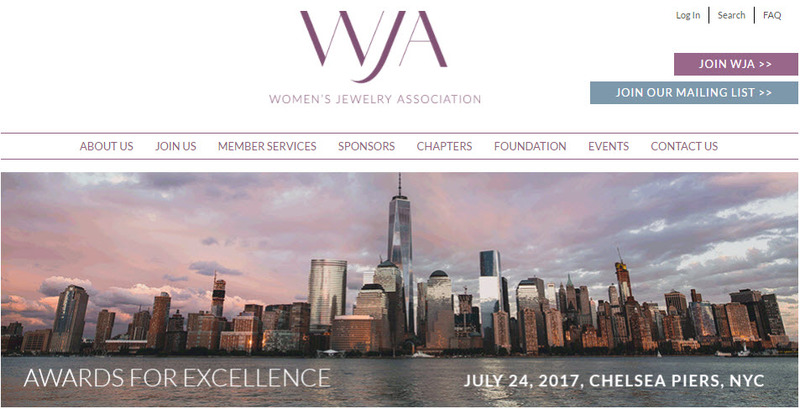 Thanks also to Bernadette Mack, Executive Director of the Women's Jewelry Association, for inviting me to the event. And finally to Deb Tauber, owner of Luxury Marketing Media, for all her guidance and help prior to the evening.